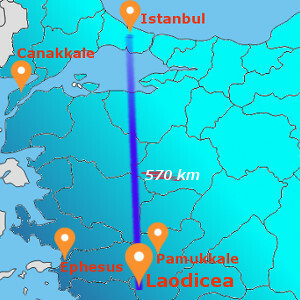 Laodicea is situated in a good geographical location on the south side of the Lycus River, 6 km north of Denizli. The city was called ''Laodikeia on the side of the Lycus'' in ancient sources. According to other ancient sources, the city was founded by Antiochos II in 263-261 BC and named after Antiochos' wife. Laodicea was the most famous and important city in the 1st century B.C. The remains of the city are dated from this era. The Romans made the city the center of Kybira's conventus (Golhisar-Horzum) because of the geographical setting. A series of coins were minted in Laodicea during the reign of Caracalla. Many monumental buildings were also built in Laodicea through donations of the local inhabitants. One of the famous seven churches mentioned in Revelation was located in Laodicea, which shows that Christianity was important here. Unfortunately, the city was completely destroyed by the earthquake. Big Theater: It's situated on the northeast of the city. It is built in Greek style, which is similar to Roman construction style. The scene is completely destroyed, but the cavea and orchestra are still standing. Its seating capacity is about 20,000. Small Theater: It is situated 300 m northwest of the big theater. It is also in Greek Style. The cavea and orchestra are partly remaining; the scene is completely destroyed. Stadium and Gymnasium: They are southwest of the city stretching from east to west. The buildings between the stadium and gymnasium were connected to each other. The stadium was completed in 79 A.D. It is 350 meters long and 60 meters wide. It construction is in amphitheater style with 24 rows of seats. Most of it is destroyed. According to the inscription, it was built in the 2nd century A.D. by the proconsul Gargilius Antioius in honor of Emperor Hadrianus and his wife Sabina. Monumental Nypheum: It's at the intersection of the main street and a side street. 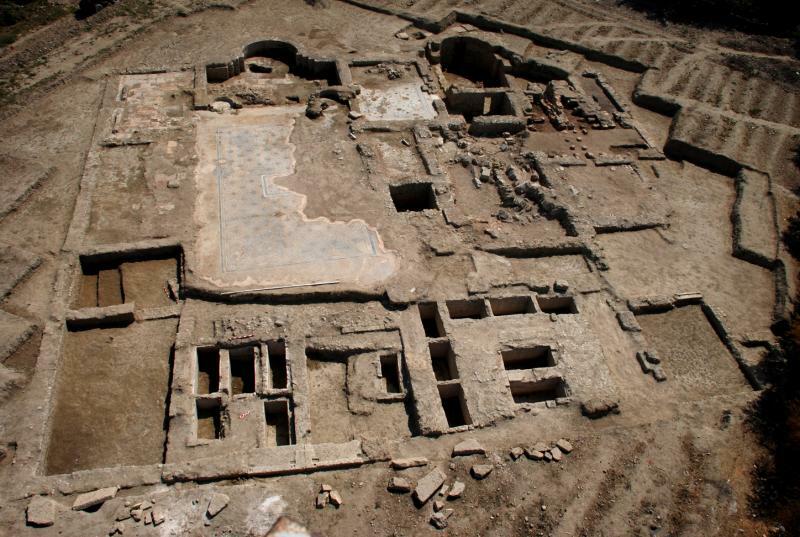 It's a Roman double-faced building with a pool and niches. It was repaired in the Byzantine Period. Council Building: It's on the southwest side of the city. The building is rectangular extending east-west. The main entrance is on the east end. Zeus Temple: The Temple is situated on the east side of the columnar street between the Small Theater and the Nypheum. Big Church: It's situated next to the columnar street. Only the ground floor remains. The main entrance is on the west side of the church.